Το πολυαναμενόμενο Forza Horizon 4 είναι εδώ. 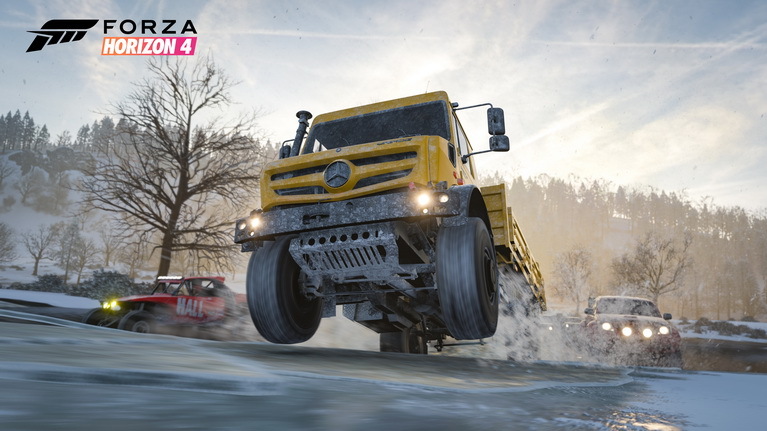 Ως γνωστόν, το Forza Horizon 4 διαδραματίζεται στη Βρετανία. Η βασική ατραξιόν του είναι οι δυναμικές εποχές, οι οποίες αλλάζουν κάθε εβδομάδα στον κοινό ανοιχτό κόσμο του παιχνιδιού. Υπάρχουν πάνω από 450 αυτοκίνητα, όπως η νέα McLaren Senna και το 1997 Land Rover Defender 90. To Forza Horizon 4 κυκλοφορεί για Xbox One και PC. Δείτε επίσημα χαρακτηριστικά και launch trailer και πείτε μας αν τσιμπάτε! • Britain Like You’ve Never Seen it. Discover lakes, valleys, castles, and breathtaking scenery all in spectacular native 4K and HDR on Xbox One X and Windows 10 PCs. • Master Driving in All Seasons. Explore a changing world through dry, wet, muddy, snowy, and icy conditions. • New Content Every Week. Every week, a new season change brings new themed content, gameplay, challenges, and rewards! • Collect Over 450 Cars. Enjoy the largest and most diverse Horizon car roster yet, including over 100 licensed automotive manufacturers. • Race. Stunt. Create. Explore. In the new open-ended campaign, everything you do progresses your game. • Customize Your Horizon Life. Outfit your driver with new clothing and emotes, own property, and create custom race routes for the community. • Fully Synchronized World. When time of day, weather and seasons change, everyone playing the game experiences it at the same time. • Livestream Your Game. Integrated Mixer features make broadcasting and spectating Horizon gameplay more fun and rewarding than ever.